After years of patchwork fillings and bonding, our patient decided to get more of a permanent and attractive fix for her teeth. 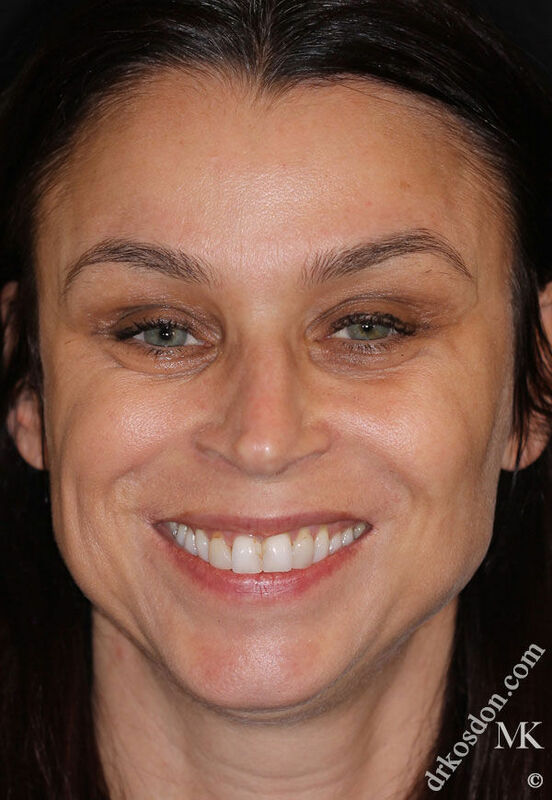 We placed 8 porcelain veneers to fix all of the cosmetic issues. 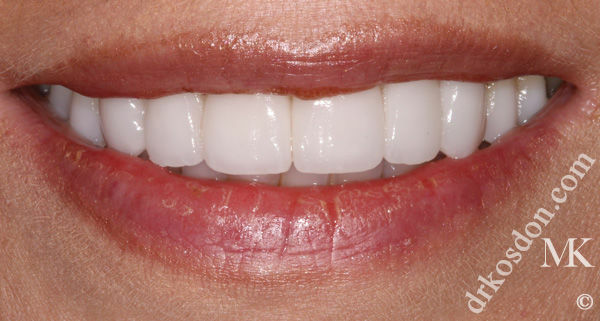 The veneers were made slightly smaller and more rounded, giving a more feminine appearance. 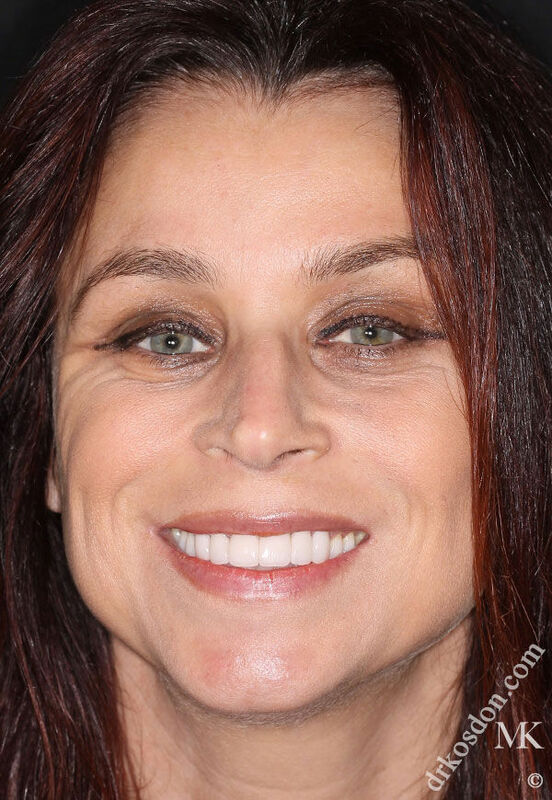 Also, we corrected the symmetry giving her more natural looking teeth. The porcelain we used for the veneers is a much better, long term option over bonding. As you can see, the composite fillings were leaking and stained, looking like she had food stuck in between her teeth. This won’t happen with the porcelain as it’s resistant to staining and will maintain its white appearance!